After the beginning of Operation Barbarossa in 1941, as German Panzers streamed across the Soviet Union, they were slowed by the appearance of a Soviet tank, the new T-34. The Germans found the Panzer IV’s low-velocity 75mm gun lacking against the T-34. 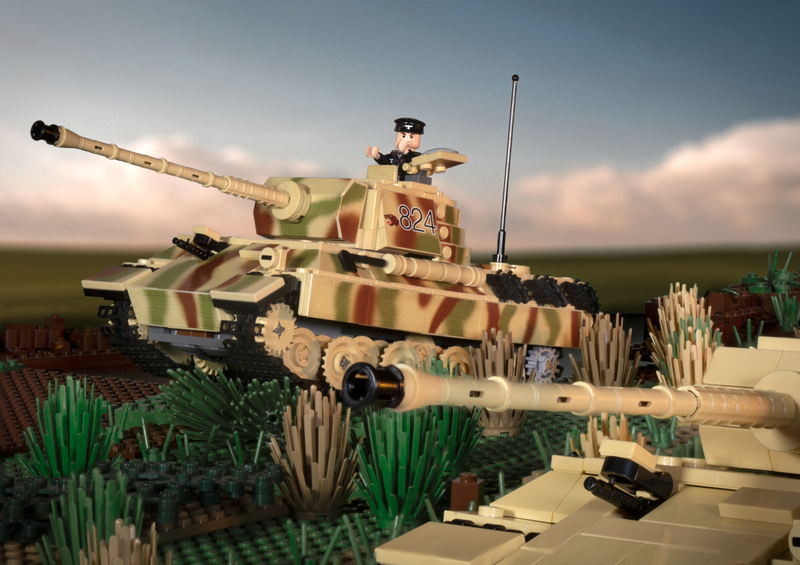 A mildly panicked German High Command ordered the development of a new tank to combat this threat: Enter the Panzerkampfwagen V, better known as the “Panther”. The Panther was deployed as a medium tank on all German fronts from mid-1943 to the war’s end in 1945. The Panther is often categorized into three major variants: Ausf. A, D, and G. Small adjustments were made between variants, including improvements to the commander's cupola and the addition of a hull machine gun. The Ausf. G variant (1944) saw a complete overhaul of the hull to provide the tank with better survivability. While having essentially the same Maybach engine as the Tiger I, the Panther had more efficient frontal hull armor and better gun penetration. The trade-off was weaker side armor, which made it vulnerable to flanking fire. Despite being classified as a medium tank by the Germans, the Panther’s weight was comparable to that of the heaviest Allied tanks. Considered one of the best tanks in WWII for its excellent firepower and protection, its reliability was less impressive. When the Panther first deployed at Kursk, many broke down and were abandoned by their crews. Among those recovered, the complex engineering made the Panther difficult and time consuming to repair. Much like many other German tanks, the Panther outperformed comparable Allied tanks in combat — when it was actually functioning. Its high velocity 75mm main cannon and excellent maneuverability had no trouble dealing with both the T-34 and M4 Sherman. Over 6000 Panthers in all variants were produced during the war. Despite their excellent performance, the Panthers and their crews were simply overwhelmed by the sheer number of Allied tanks produced — roughly 50,000 of both the M4 Sherman and T-34. This numerical advantage coupled with the loss of experienced tank crews in 1944-45 contributed to the eventual fall of the Third Reich.